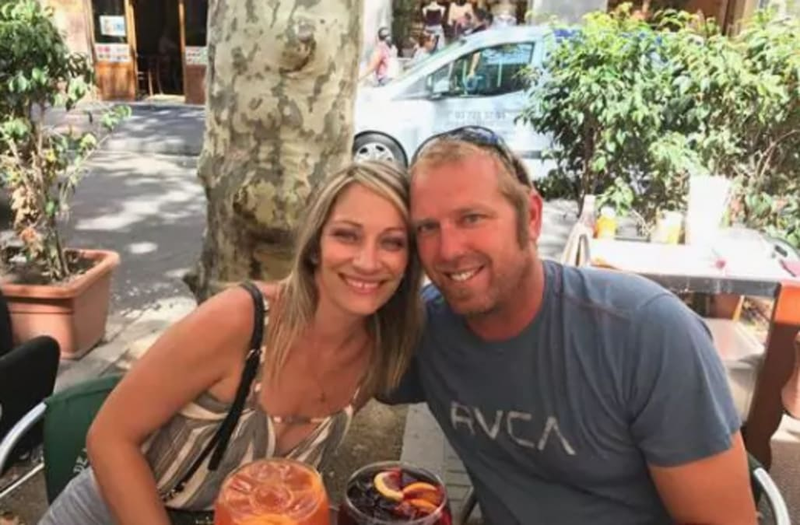 The California man who was separated from his wife in the chaotic moments of Thursday's terrorist attack in Barcelona, Spain, was among the 13 killed at the scene, his family said Friday. The father of 42-year-old Jared Tucker told NBC News that Tucker's wife, Heidi Nunes, confirmed her husband's death. The Walnut Creek couple were in Europe celebrating their first wedding anniversary and had just enjoyed drinks on Barcelona's wide, largely pedestrianized tourist street of La Rambla when their relaxing vacation was shattered by sharp cries. "Next thing I know there's screaming, yelling," Nunes, a 40-year-old teacher, earlier told NBC News. "I got pushed inside the souvenir kiosk and stayed there hiding while everybody kept running by screaming." Some 6,000 miles from home, they found themselves in the middle of a car-ramming attack Thursday afternoon. A driver had plowed through pedestrians, killing at least 13 people and injuring more than 100. Secretary of State Rex Tillerson said Friday an American had been killed in the attack, but did not immediately confirm the identity. ISIS quickly claimed responsibility for what appeared to be the latest in a spate of low-tech terror attacks across Europe. Tucker and Nunes were on a dream romantic getaway traveling through Paris, Venice and then the Catalan city. They were enjoying drinks on an outside patio when Nunes said she wanted to go and look at some jewelry. Tucker, a construction worker, told her he was heading to the bathroom. She told NBC News that she was aware of a photograph circulating online that appears to show her husband looking "very injured" and being helped by someone in a black t-shirt. More than 12 hours after the incident played out, she was still desperate to find him soon. A happier image depicts the couple taken shortly before the attack. "The picture was taken about an hour before the attack while we were sitting at a little patio," Nunes said of a photo. The attack is one of three incidents in northeast Spain that officials believe are connected. Hours after the van ramming, police shot dead five attackers wearing bomb belts in the popular seaside resort of Cambrils, around 60 miles southwest of Barcelona. Six people were injured in the incident, which officials said was related to the carnage in Barcelona. Also believed to be connected is an explosion that killed one person Wednesday night in the town of Alcanar, around 100 miles to the southwest.